…do I say y’all? Well, guess I do now. I’m so excited to share today’s post with, ehm, y’all, in partnership with my dear friends at Valley Fig Growers. 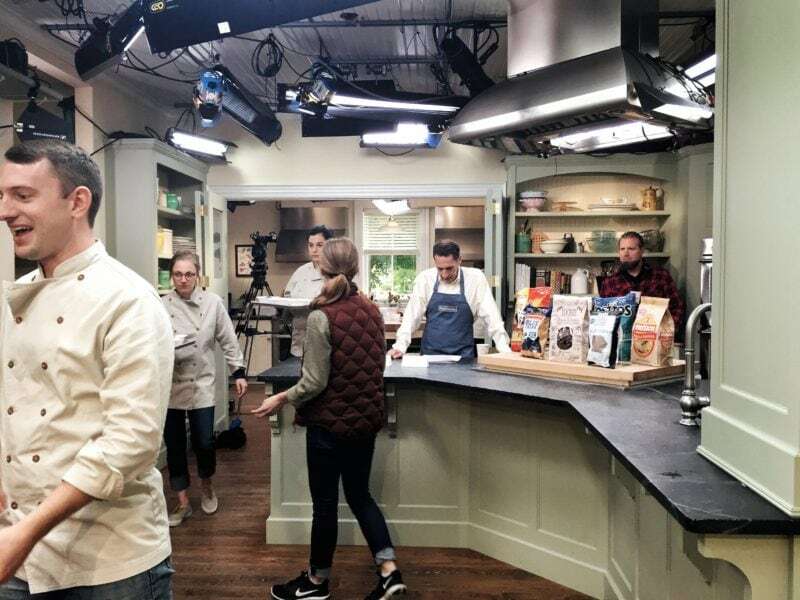 I first became friends with these lovely people last year when I won an all-expenses trip for two to a filming of America’s Test Kitchen at their country home in Vermont. And yes, it was just as charming as it sounds. OK, back to the story. I, along with a guest of choice (clearly it was my bff Monique) were whisked away to the Vermont countryside for a weekend getaway. 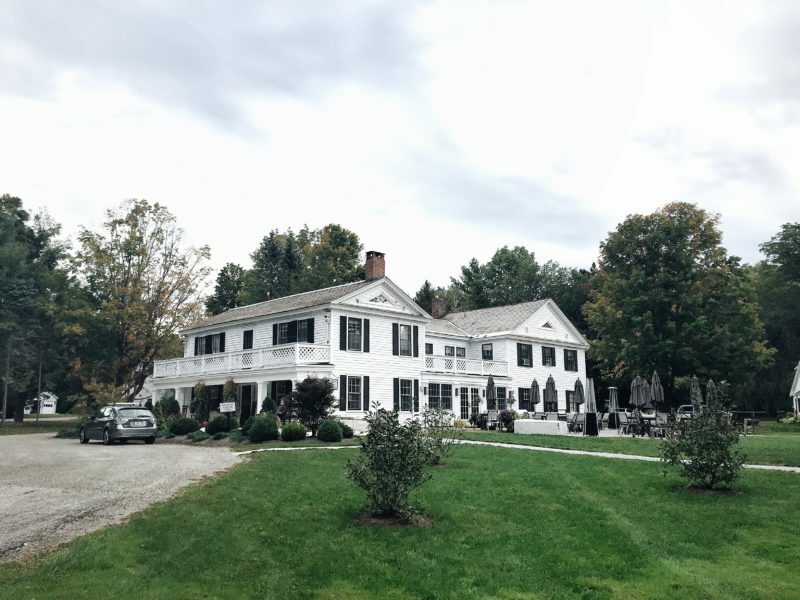 We were put up in the most quaint New England bed and breakfast, got to explore Vermont in the fall, and had the opportunity to sit in on the filming of an episode of Cook’s Country. We drove through quintesential New England in the fall, ate some great food, and got to sit in on a historical food show. It. Was. Awesome. Since last fall, I’ve become close friends with the people at Valley Fig Growers. They are the largest cooperative of fig growers in California, representing 40% of the California fig industry. You may have seen them under the Sun-maid or Blue Ribbon’s Orchard Fig brands at the grocery store. They’re a wonderful group of people with a passion for figgies and all things food. 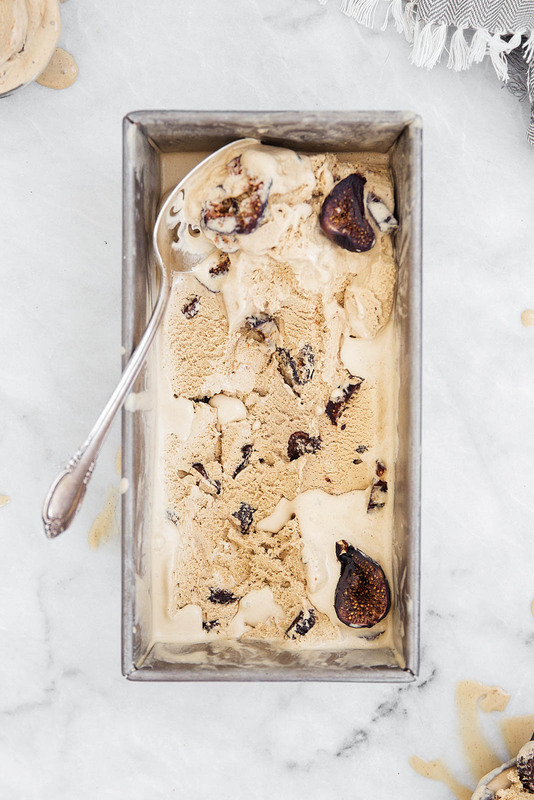 So when they asked me to come up with a fig recipe to share with you all, I was stoked. Even more so when I found out they’re repeating last year’s contest. Enter the contest here (link will be live at 12pm EST), and may the odds be ever in your favor! PS. This coffee ice cream. Holy dairy cow. The cinnamon gives the coffee this warm flavor reminiscent of fall. 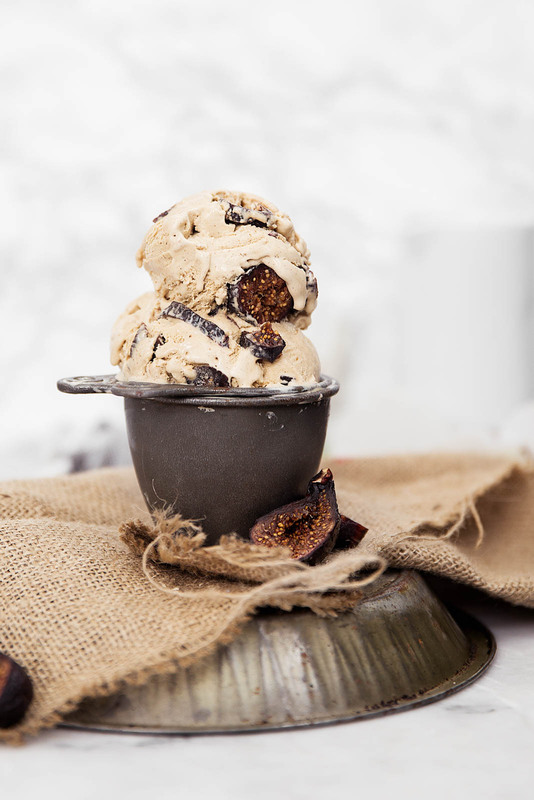 And the California dried mission figs just bring it to another level. They provide a burst of sweetness that pairs so well with the coffee. 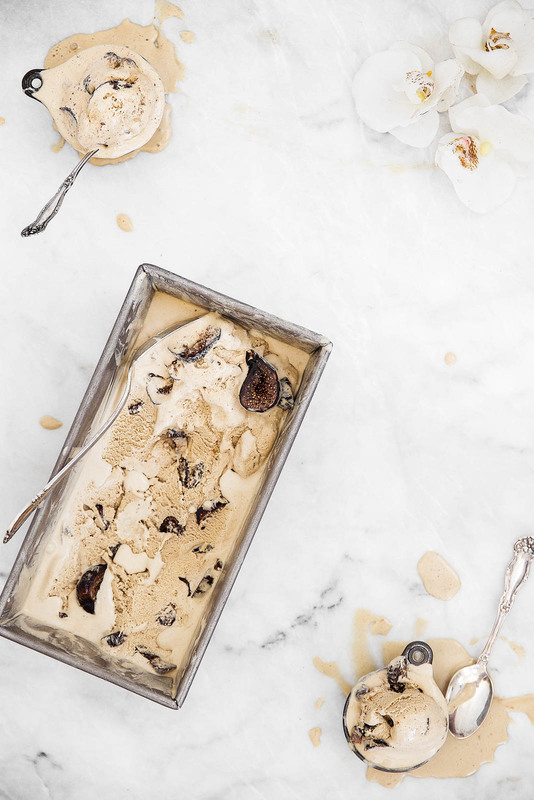 I shot this coffee ice cream recipe at 10am and ate at least a serving before noon. Sign of a good recipe, am I right? Whisk the yolks, 1/4 cup of the sugar, espresso powder, and cinnamon until creamy. Set aside. Heat the cream, milk, 1/2 cup of sugar, and salt in a medium pot and cook on medium heat for 2-3 minutes, until the sugar is dissolved and the cream is nearly simmering. Lower the heat and scoop a ½ cup of the cream mixture into the yolks, whisking the entire time to combine. This will temper the yolks. Pour the heated yolk mixture back into the cream, still whisking the entire time to combine. Then, using a spatula, gently stir the mixture while it heats. It should thicken in 3-5 minutes. You will know it’s ready when it coats the back of a spoon and holds its shape when you draw your finger through it. Quickly remove from heat and stir in vanilla extract. Pour mixture into a thick ziplock bag and chill in the fridge for at least 4 hours, and up to overnight. Once chilled, pour ice cream into your ice cream maker and churn according to manufacturer’s instructions. At the end, fold in California dried mission figs. Transfer to freezer-proof container and allow to harden for at least 6 hours. Then serve! This post is sponsored by Valley Fig Growers. All text and opinions are 100% my own. That trip was such a fun time! Especially when we hand fed ourselves cake — I wish we would have stayed in beautiful Vermont longer! Thank you Chelsea! The link will work at 12pm EST. I have amended the post to include this! Good luck! Hi Jessica! The link will work at 12pm EST. I have amended the post to include this! Good luck! I love those cheesecake bars and cannot wait to try the ice cream. LOVE LOVE figs! holy cow. 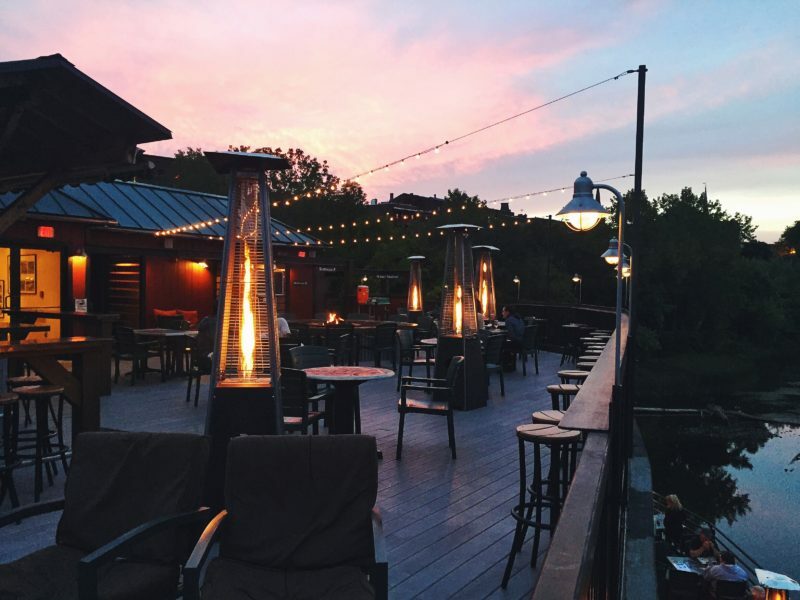 i was kind of skimming this post and not reading, but as soon as i saw the cook’s country house, i was like WHAT and backtracked and read everything. sounds like you guys had an amazing time there!! This ice cream sounds phenomenal! Almost as amazing as that trip sounds! I will definitely need to enter the giveaway! No amount of dinner I just ate could keep me from eating a huge bowl of this ice cream! I’m going to make this ice cream! But… You didn’t mention the milk in the recipe. I guess i have to put milk and cream together and then heat everything, right? Oh silly me! Recipe updated. Apologies, Audrey! I LOVE THAT ICE CREAM! It taste just perfect (not too much coffee, not too much cinnamon). Can’t stop eating (oops!). I love that the texture doesn’t need to wait to use a scoop.